Note: Click here if you’re looking to buy prints of Alan’s art. 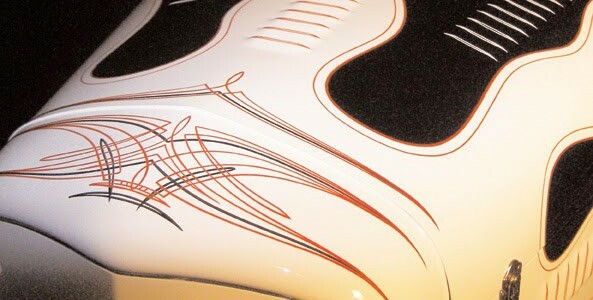 Even before the heyday of Von Dutch and Big Daddy, the ultimate way to personalize your car or motorcycle was to lay some wicked lines on top of the paintwork. Done with a steady hand and an eye for style, pinstripes speak volumes. In How to Pinstripe, acclaimed veteran striper Alan Johnson teaches you everything you need to know to get started, to further your mastery of the form, or to simply understand how a good design comes together. 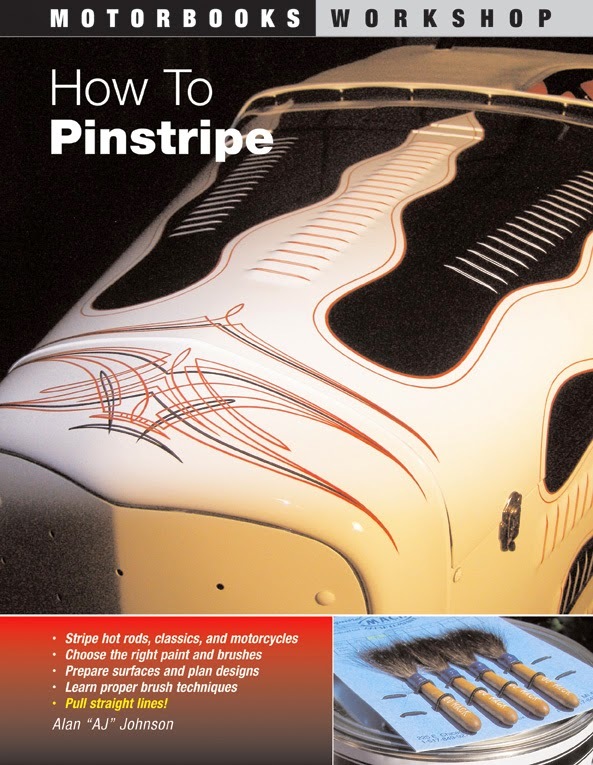 Following a primer on the history and evolution of pinstriping, this book launches into a step-by-step guide to the pinstriping process–from choosing paint and brushes that suit your style and abilities, to preparing surfaces, experimenting with symmetrical and asymmetrical designs, striping freehand, and using grids and patterns. While stressing the importance of finding your own style and having fun with the hobby, Johnson also explains the basics of color theory and unique considerations for antique and classic cars, hot rods and customs, and motorcycles. For more advanced pinstripers, theres also tried-and-true advice on apprenticing and working car shows. Illustrated with color photography throughout, How to Pinstripe is the perfect source for beginners and veterans alike.